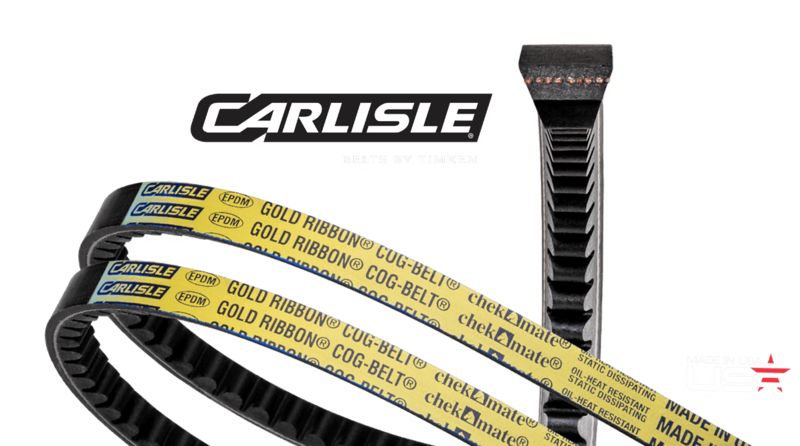 Powered by Carlisle® Belts leading the market in cogged v-belt technology! Setting the benchmark in cogged v-belts! The Widely respected performance leader comes with added-strength EPDM compounds to reduce downtime and save energy on a huge range of applications. Deep groove double “CC” belts are designed for drives with long center, serpentine applications. Featuring a notched design for greater flexibility and belt life. Combining the advantages of narrow wedge belt design, raw-edge performance and EPDM rubber for maximum strength, stability and power output on compact drive systems. 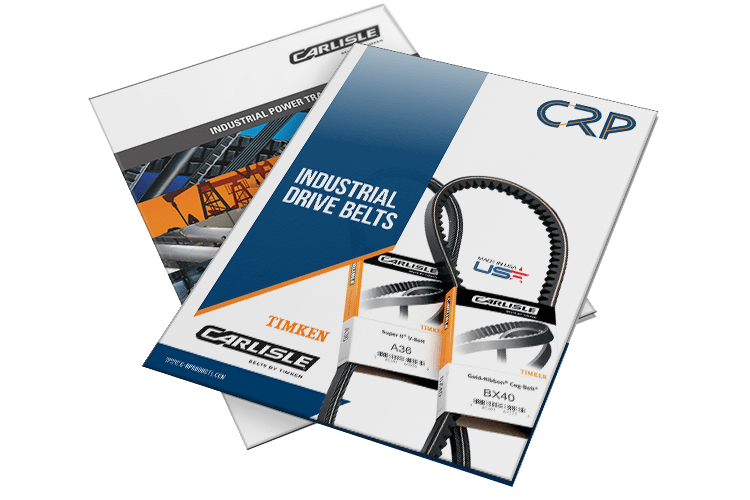 Download our industrial belts brochure to explore our huge range of drive belts. From raw-edge v-belts to extra-strong banded belts and a wide range of complementary pulleys and sprockets by Martin Sprockets Inc. Download Now! Precision-engineered cogs permit greater belt flexibity for easier curving around the pulley arc. This reduces drive widths and smaller pulleys means less cost! Combining the added flexibility of cogged belts with the gripping strength of raw-edge sidewalls boosts power output by up to 30% on smaller drives. Specialised EPDM rubber compounds withstand extreme heat, dirt, grease, chemicals and environemntal conditions for improved belt life. 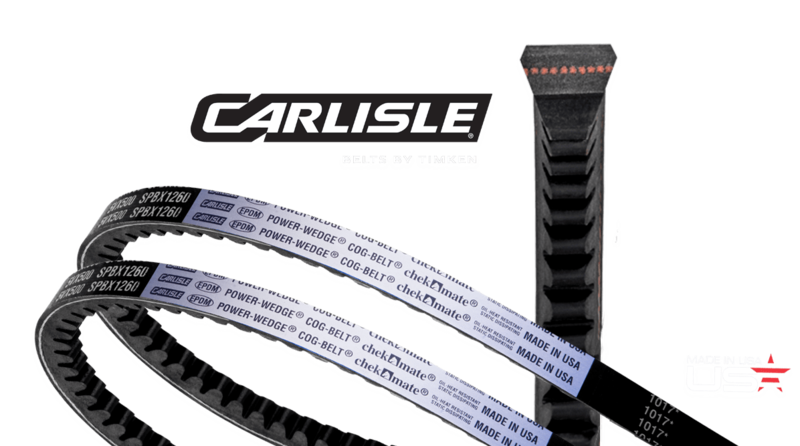 Bring the power of Carlisle Belts to your network. 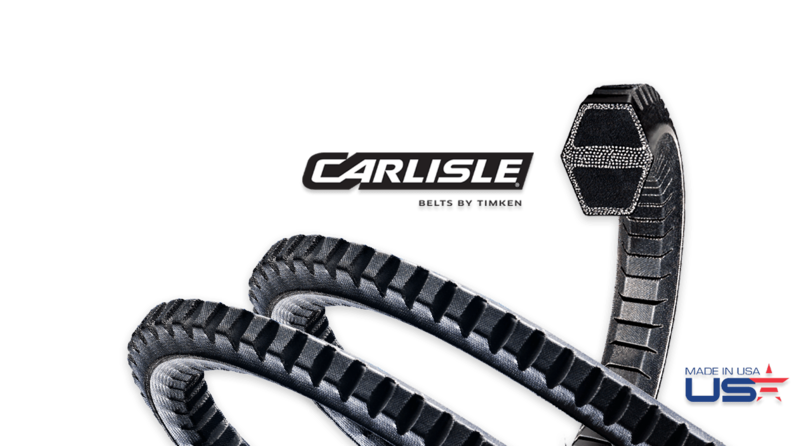 Join us today to access account management, product support and exclusive discounts on 600,000+ belts. Design your drive with an expert by your side. Get in touch now for support on maximising the efficiency and power output of your new machinery with CRP. 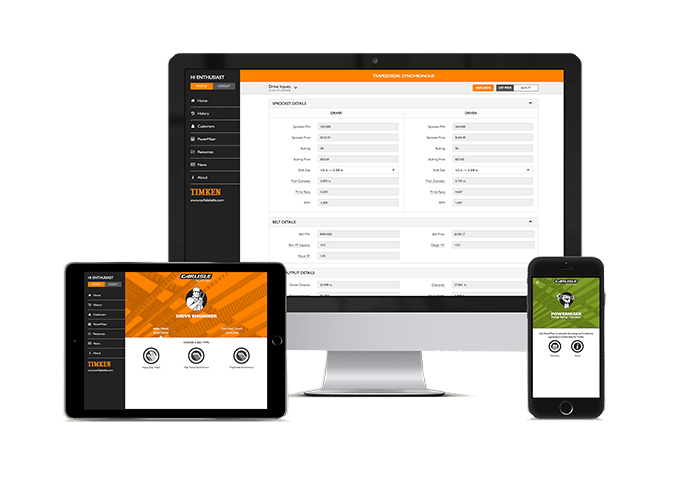 Get in touch with our sales team today to send your part numbers, quantities and delivery options and receive a no-obligation quote within 24 hours.